JOSAM drill is a drilling system, which by using a leverage, facilitates and speeds up the demanding drilling work. There is a wide range of possible applications for the JOSAM drill. The lever facilitates drilling in many different positions and also reduces the risk of personal injury if the drill bit gets stuck. JOSAM drill is a drilling system, which by using a leverage, facilitates and speeds up the demanding drilling work. 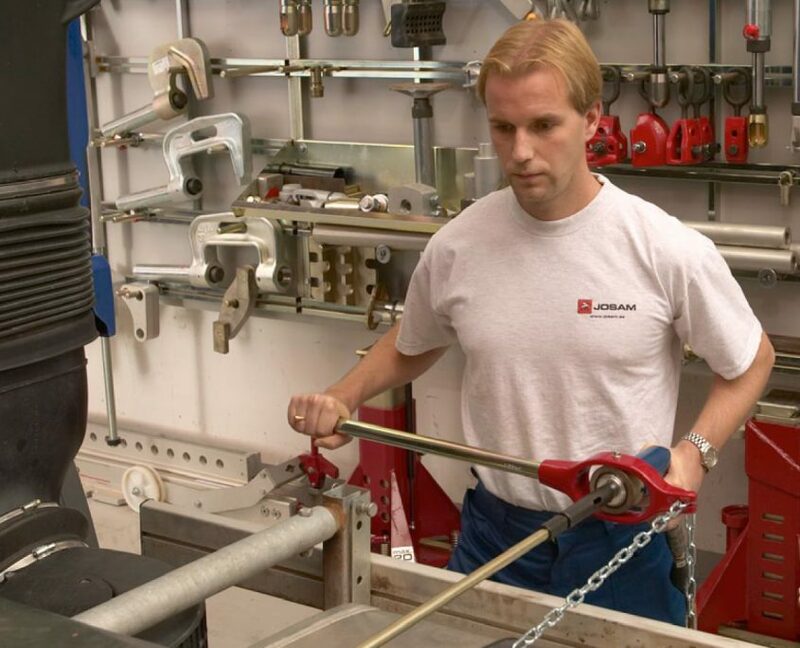 JOSAM drill is especially designed for drilling 12-20 mm holes in frames of heavy vehicles. The drilling can be performed ten times faster than by conventional drilling equipment. A 700 mm extension makes it possible to work outside the wheels. 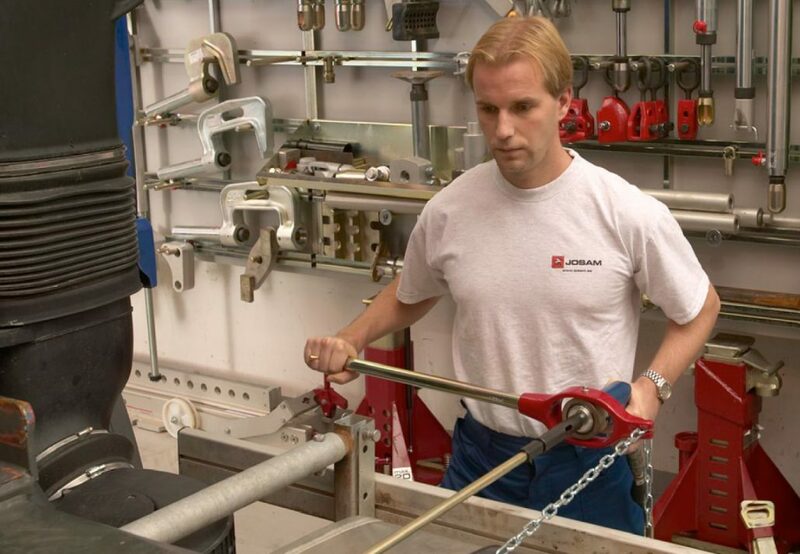 A 2.5 m chain can be attached to the frame and will serve as support of the lever.